The 33-year-old has been accused of defrauding the Spanish government since 2017 after allegedly using shell companies outside of the country to hide the earnings he made from image rights between 2011 to 2014. But now the prolonged court battle has finally reached its end with Ronaldo having struck a deal with Spain’s state prosecutor and tax authorities. 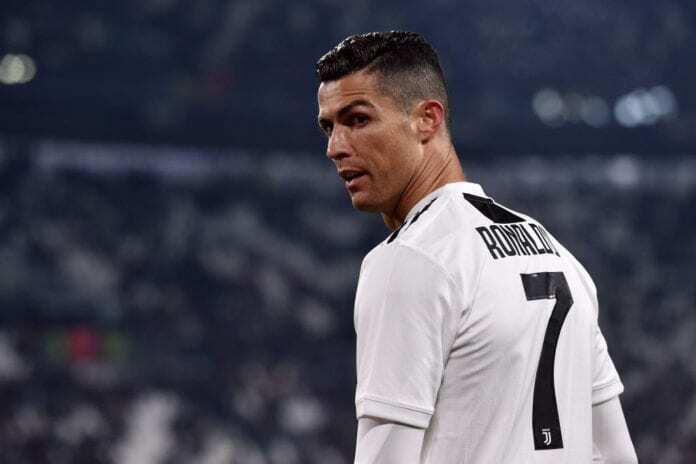 This saw the Juventus forward plead guilty in exchange for a suspended two-year sentence with Ronaldo not required to spend any time in prison due to being a first-time offender in Spain. Now BBC reports that Ronaldo turned up smiling and giving a thumbs-up to everyone as he entered the courtroom with the case lasting about 15 minutes. The star had hoped to enter the courtroom through the backdoor for security reasons due to his fame, but his request was denied by the judge and so, therefore, he came through the front door. Ronaldo was then seen arriving out of the courtroom today in Madrid smiling with his Spanish partner Georgina Rodriguez and paused to sign some autographs for fans before leaving in a black van. However, today’s outcome didn’t come without a heavy price as Ronaldo will be required by law to pay €18.8m in fines. Below is a video by Spanish journalist Rubén Cañizares showing the moment a smiling Ronaldo arrived at the Madrid courts. Meanwhile, the Portuguese’s former Real Madrid team-mate Xabi Alonso also appeared in court today for the first time, charged with similar image rights offences which amount up to €2m from between 2010 to 2012. But the 37-year-old Spaniard has denied breaking any laws in Spain and told journalists “Yes, all good” as he arrived in Madrid. Lionel Messi, Jose Mourinho, Javier Mascherano, Marcelo, Luka Modric, Alexis Sanchez, Ricardo Carvalho, Angel Di Maria, Radamel Falcao and Fabio Coentrao have all faced similar charges in Spain in recent years.